I have read with keen interest the write-up from Mr. Alexander Bwalya Chikwanda, the immediate-past minister of finance, in which he accuses certain “aides” of swapping the late president Mr. Michael Chilufya Sata’s speech and in which he insinuates that there was some sort of foul play. To begin with, I need to emphasize that I am extremely reluctant to engage people who are much older than me in unnecessary debates because my cultural and religious beliefs compel me to respect our elders. In this instance, I am forced to respond to defend both the government processes that are used in presidential speech preparation and presentation but also defend the honor of the late president Sata with whom I worked very closely for the last 10 years of his life and to whom I owed unwavering loyalty. 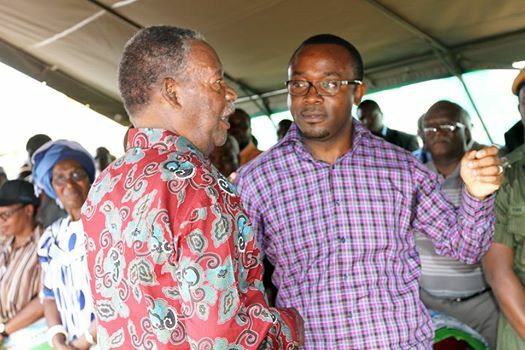 I believe I owe president Sata loyalty both in life and in death. Secondly, I am very reluctant to respond to statements that leak internal government memoranda and documents, which are otherwise classified under the State Security Act. But I feel constrained to respond without revealing the actual documents and correspondence that occurred within State House at the time. I strongly feel that the integrity of government correspondence and work requires the maintenance of high-level confidentiality in presidential matters and by virtue of his expansive wisdom, knowledge and experience in state matters, I expect bashikulu Ba Chikwanda to know this better. The write-up by Mr. Chikwanda has one material misconception, which I wish to correct. Presidential speeches are subjected to an elaborate and well-structured process, and to suggest that any one person in a former or the current government can manipulate a presidential speech meant for the legislature, is both an assault on the government process but also on the integrity of the sitting Head of State. Also, to suggest that president Sata’s speech was swapped is being less than truthful and unfair because nothing of that sort happened, and to insist on this claim, is to insult president Sata’s intellect especially that anybody who worked closely with him can attest to the fact that president Sata was a detailed and methodical man who insisted to have his draft speeches two weeks before the event. Perhaps, let me briefly run through what amounts to be a traditional presidential speech preparation and presentation process. Zambians should know that the president’s speech for the official opening of the National Assembly is drafted by a special committee constituted by the Secretary to the Cabinet before final submission to State House for the Head of State and his aides to have the final input and tailor the document in accordance with the president’s short and long-term vision and plans for his tenure of office. So, insofar as the presidential address to the National Assembly is concerned, the Head of State is the final authority on what is submitted to the August assembly and subsequently, to the nation at large, and I can confirm that president Sata personally participated in these procedures. The Secretary to the Cabinet, Dr. Rowland Msiska and the current Principal Private Secretary at State House, Dr. Simon Miti can attest to this fact. Now, let me specifically address the issues pertaining the alleged swapped speech. The impeccable truth about president Sata’s September 19, 2014 speech is that as per norm, president Sata wholly contributed in the process and sanctioned what needed to be incorporated or expunged from the final document for presentation to the National Assembly. Also, it was decided at the time, by all concerned with the finalization of the speech that the presentation of a lengthy or bulky speech by president Sata would be inimical to his health and the president agreed accordingly. That was how all concerned settled for an abridged version of the document. Although, I cannot go into the intricate details for reasons of confidentiality and in keeping with my oath of secrecy I can confirm that the abridged version of the speech had full presidential approval and input too. I should pose here to clarify that although president Sata had challenges with his physical health at the time, his mental faculties were intact and that is why Cabinet of which Mr. Chikwanda was an integral part did not trigger the constitutional provision for the removal of the president for mental incapacity. Lastly, let me remind all those concerned that out of respect for the late president Sata, I have kept quiet about the intrigue, cunning and manipulation that happened during that time and which in certain instances hinged on criminality so unless they want to invite me out of my silence but I can assure them that this is not an invitation I will chicken-out from, as I am more than willing and able to defend my integrity and public service credentials. I thank you!